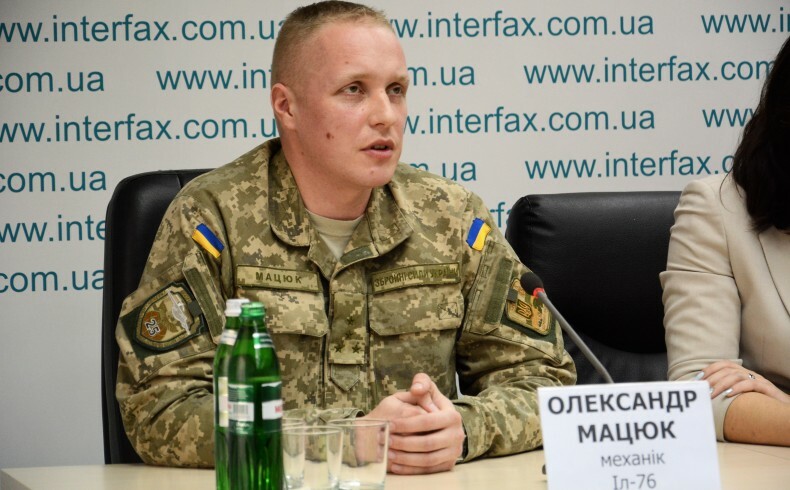 On Friday, February 10, at the Interfax news agency, the Press conference ‘The Tragedy at Luhansk Airport on June 14, 2014: the Ministry of Defense and the General Staff Exert Pressure on the Court by “the officers’ letters” in support of General Nazarov, Written as a Blueprint’ was held. 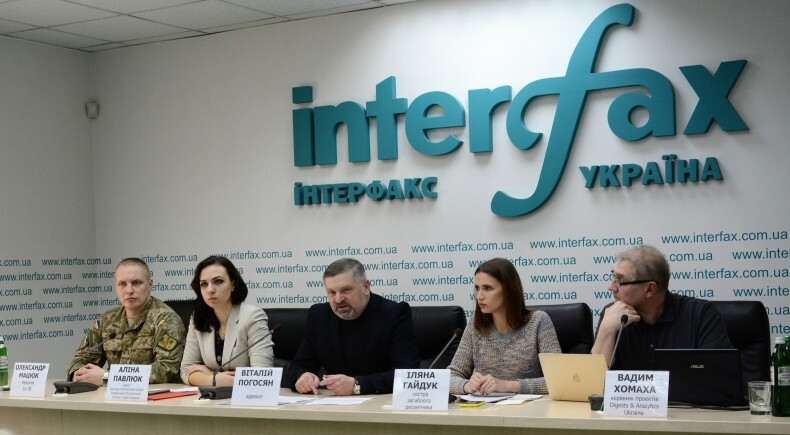 The organizers of the press conference came together to tell how the Ministry of Defense is trying to exert pressure in the case of General Nazarov. Major General Viktor Nazarov is accused of professional negligence in the organization of defense of Luhansk airport, killing forty paratroopers and nine crewmembers of IL-62 MD no. 76777 on 14 June 2014. The last sitting of the court and the debate were held on January 26. As a result, the judge went to the chambers to make a decision. According to Vitaliy Pohosian, the defender of victims, this is the first case when an high-ranked official is being brought to justice. He stressed that no one has the legal right to officially comment or blame anyone, because now the court is making the decision, and later the party, which disagree with the decision, can file an appeal. 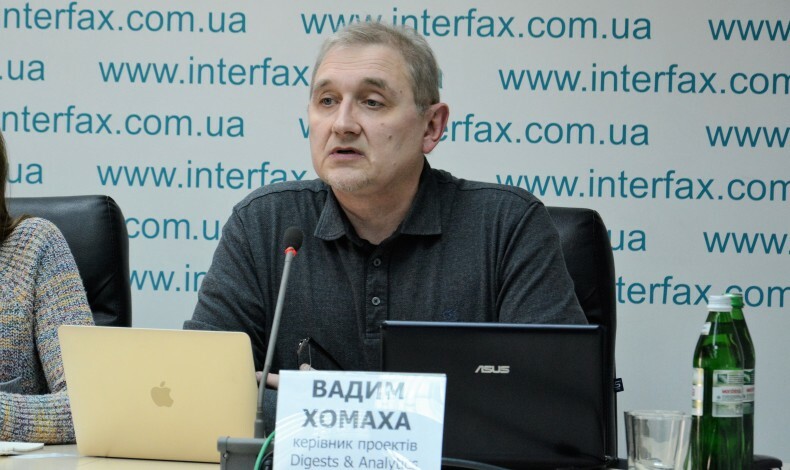 The lawyer Vitaliy Pohosian said that those, who emphasize the fact that Major General Nazarov can not be judged, are trying to assess what happened on the court. They are not familiar with materials of the criminal proceedings, did not take part in it and were not present at all trials. He said that he attended all court hearings, including the hearing, with the materials containing state secrets. The lawyer referred to two letters from operational commands “East” and “West”. He cited the letter of the command “East”. According to the letter, the cause of the accident was that the “dead crew did not see the runway due to a broken generator that supplied light.” The authors of the letter, as indicated by a lawyer, referred to the investigation materials. However, he stresses that no such information was presented in the court. Instead, Vitaliy Pohosian noted that in a letter from the command “West” it was stated that no accusations against terrorists were put forward. In this case, he referred to the statement of Major General Yarusevych, who said that terrorists had been charged under Article 258. 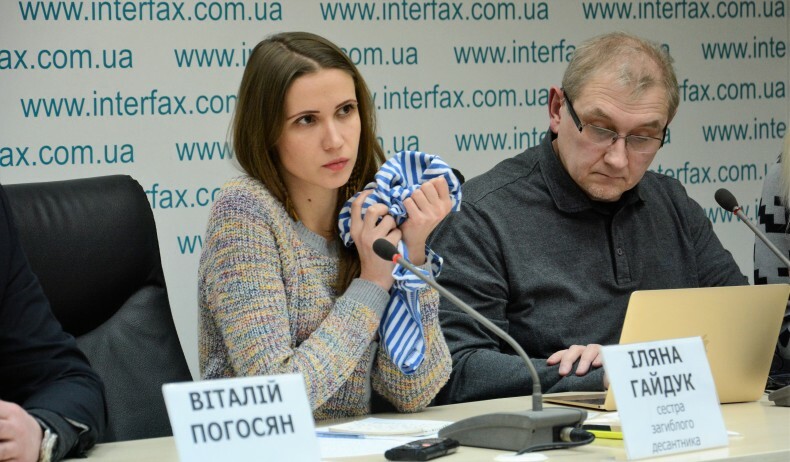 The lawyer stressed that he defends victims in the case of Major General Nazarov and victims in the case of Plotnytskyi and other guilty for direct shooting down the plane. Vitaliy Pohosian added that victims filed complaints to the European Court of Human Rights in order to establish the fact of murder, the death of soldiers. Alina Pavliuk, a lawyer of the Strategic Litigations Center of UHHRU, said that in December 2015, a joint complaint of all relatives of the victims of the crew of IL-76 was filed to ECHR. In spring 2016, the lawyers received a letter that the complaint was registered and its number was assigned, but the court limited access to the complaint. The lawyer emphasized that even in times of warfare, Article 2 of the European Convention continues to protect the right to life of all citizens. The complaint was addressed to the state of Ukraine and the Russian Federation on the fact of the shooting of IL-76 in Luhansk airport. 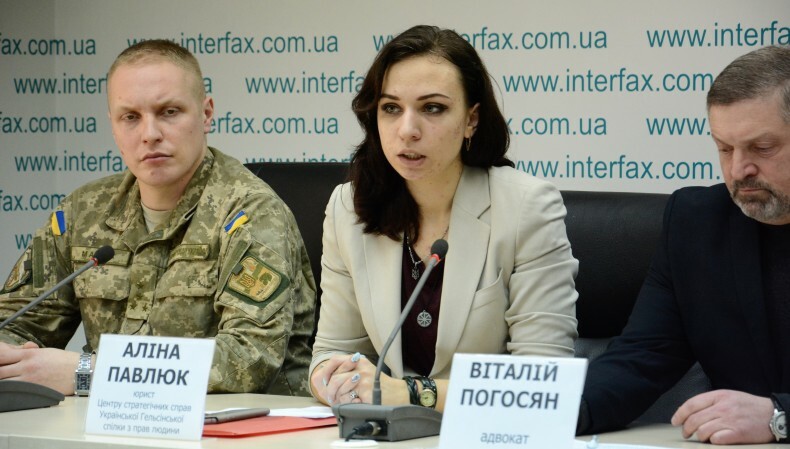 Alina Pavliuk said that in this case, Ukraine is responsible for the actions of its military command. In addition, ECHR considers the principle of personal responsibility of commanders not only for the actions of others while performing military operations, but also for the control of the situation. Relatives of the fallen soldiers also delivered their speeches. Iliana Haiduk, a sister of the fallen paratrooper of IL-76 Illia Haiduk, stressed the importance of this case for the state, because “Generals are responsible for their decision.” She also spoke to the officers, who were writing letters in support of Major General, that they intervene in the case without reviewing its materials. 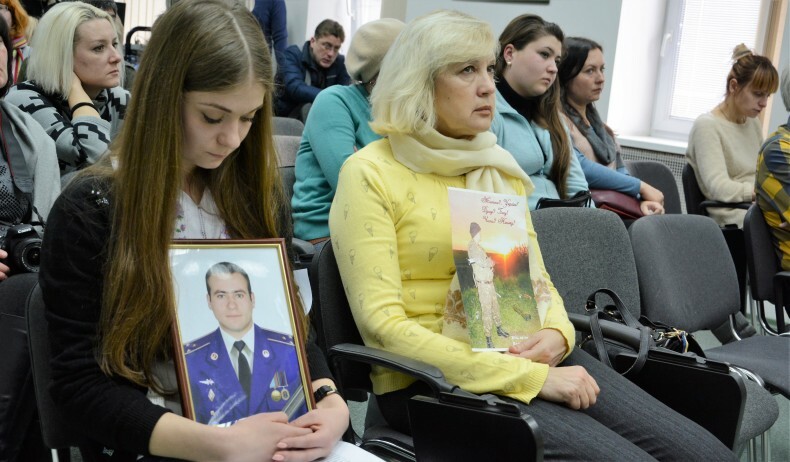 Maria Kozoliy, the sister of the fallen senior board technician Oleksandr Kozoliy, presented a joint letter from relatives of fallen Ukrainian soldiers. It just underlined the incompetence in the case-file of officers who speak in support of Major General Nazarov, publishing their own conclusions. The relatives of the fallen soldiers emphasize that they are insulted by attacks of soldiers who are not professional experts in aviation, but have concluded that aircrew is guilty of their own deaths. Oleksandr Matsiuk, a mechanic IL-76 683, who first landed in Luhansk airport, said that the characteristics of the event and the aircraft, when landing, were sufficiently addressed in court, so in this respect, there can be no speculation. He said that according to expert opinions, there was no fault of the crew.